Worry: a state of anxiety and uncertainty over actual or potential problems. Neurosis: excessive and irrational anxiety or obsession. I still remember the day my classroom teacher, Mr Smith* told me I was a “real worrier” in school. I must have been in about Standard 1 or 2, aged seven or eight. Sure I worried. I worried about many things and I made a point of telling others of those worries, especially the teacher until I was mocked. One soon learns to hide oneself when you are not treated with respect or seriousness. I withdrew after that. Even a seven year old should be taken seriously. This comment annoys me to this day. He made me doubt my own worries. Was I worrying too much? Perhaps I was but that was who I was and still am to this day. I think I may have asked him to control the class better so that I could concentrate at one time too. Yes. I was that kid briefly. We annoyed each other! I am reading the book Been There. Done That. Try this! 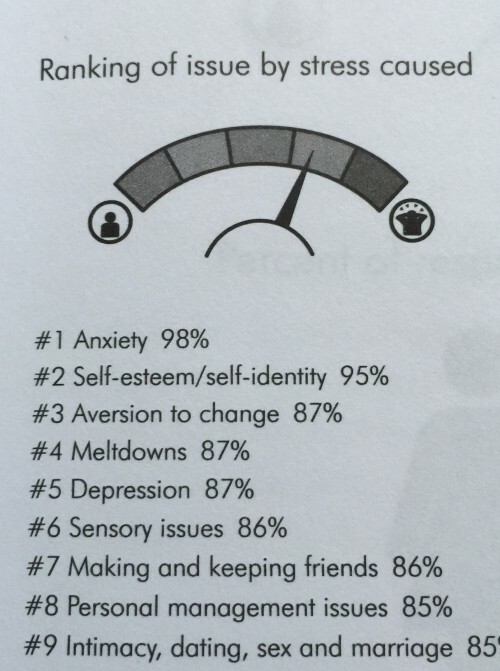 An Aspie’s Guide to Life on Earth and I am stunned by the statistics of the stressors for those with Aspergers. I shouldn’t really be surprised but to see in print but it’s nice to know I’m not the only one I suppose with neurotic tendencies.. This comes as a relief. I think I’d like to be the 2% without anxiety. However without the anxiety then I wouldn’t be able to think of all sorts of possible scenarios, would I? Are those Aspies with anxiety better at problem solving? Isn’t it a natural tendency to see problems and find solutions? This is me putting a positive spin on the concept of anxiety and worry. At best we can learn to live with it. Accept you have anxiety and try to reduce the impact it has on ourselves. Exercise keeps coming up again and again everywhere I read. To combat anxiety and depression exercise helps. Whatever exercise suits your style go for it. If you have done none up till now, a gentle walk will make a difference. If you are already exercising then keep doing it. Increase the intensity if you don’t feel it’s enough. I wear a pedometer every day and I can see how many steps I walk. I can increase the steps if I see myself cutting back. Animals also keep cropping up with anxiety and depression topics. Being around animals and petting them seems to have a calming affect on people. Animals do not judge. They accept you as you are. They are loving and forgiving. They are there for you. I so want to get a cat or two again. Just wondering if the timing is right. Travel and pets don’t mix well. Be it reading a book, meditating, listening to good music or computer games, whatever makes you happy. Finding what you enjoy and doing it takes your mind off things that make you anxious. Call it distraction, call it what you will but if it works, do it. You are what you eat. Feed yourself junk food and you will suffer the consequences. We already know all that. We really do. It may be easier to eat junk food than not but we can wean ourselves off it and processed food slowly. Each step in the right direction makes a difference. If you treat yourself with care and eat those vegetables and fruit and nuts and whole foods your mind will thank you for it along with the hips and thighs. One small change is all it takes. Punctuality is made up of two parts, it’s about being somewhere physically on time and also about completing a task within a certain time frame. Let me talk about the first part, being somewhere on time. I need to be somewhere on time or I get agitated or anxious. I cannot concentrate well on anything else. If someone says to be somewhere at 6pm, I will be there. In fact I will most likely be there ahead of time to allow for traffic, delays of some unknown factoring. I will loiter until it is the right time. If I am waiting for a train or a plane I get there in plenty of time. I have an abundance of time, so much so that I try to be efficient with my time and end up going to the lavatory at the last minute instead of earlier when I had plenty of time. Followed by rushing. This drives my husband insane. I don’t mean to do it, but it occasionally happens even now. Why am I so punctual about being somewhere or meeting someone? Who knows. But it may be because I have missed flights in the past. Due to severe traffic jams, getting someone else to drive me to the airport, not reading the ticket properly for the times etc… It is also because I spent time in Japan and the transportation system there is anally punctual. Down to the second. If you are a minute late, your train will be gone. If you are on the Yamanote line in Tokyo that isn’t a problem as there will be another one arriving in a few minutes but if you have a Shinkansen/Bullet Train ticket then that is a problem. I loved the preciseness of the trains and buses. I felt comfortable with it all. Where I grew up there was one train line through the town and if you were travelling to another town and the train left at 8:30am, you knew that if you arrived five minutes late your train would still be on the platform. There was plenty of time to say goodbye to everyone. There was nothing precise it was about. The train stopped for morning tea and afternoon tea on the platform. It was a nice slow pace. Those days are long gone but it was what I was familiar with. It was quite the shock going to Japan. Time was different. I learnt to use a watch properly. Before that I used it for “about” time. It was about five o’clock, or it was about half past seven. It was never 5:03pm. Now that I am no longer living in Japan my old ways are creeping back in and some days I don’t wear a watch. Time doesn’t stand still but I get along fine. I take a book, a sketchbook, a charged kindle or phone. I have plenty to do for just in case. I treat myself like a child and make sure I have enough distractions to make the time go fast at the airport or anywhere I need to wait. I end up a lot of the time sitting and thinking or people watching. Endless entertainment. My husband asks me if I want a book. It’s his way of nicely asking if I have something to do as I must be distracting him. Do I look anxious when I wait? I think not. But I think he can sense it. Recently we were early for a flight. We checked in online and went straight to the gate. the gate according to the smart phone details. They turned out to be wrong! The arrivals/departure board is the most up to date and it to be trusted. We learnt that the hard way. We had to walk a long way back to the correct gate. The travelators were all going in the wrong direction. We still made it in time but it was annoying just the same. When someone says to you, “Oh, don’t worry, you have plenty of time!” Worry. My plenty and your plenty will be different. Some people like to glide into the airport just a few minutes before the check in counter closes. They don’t allow for mishaps. They glide through life like that. I cannot live like that. It would put me on edge and I would just feel exhausted the whole time. Punctuality about completing a task within a certain time frame or deadlines for me is the part that needs improvement. I think I have plenty of time and so I put it off. This is the time that anxiety enters the mind. The anxiety stays in the back of the mind until the task has been performed or completed. I put it off until the last moment then I rush it. This makes me angry at myself and I know I could have done a better job. Once the anxiety goes there is a feeling of relief. 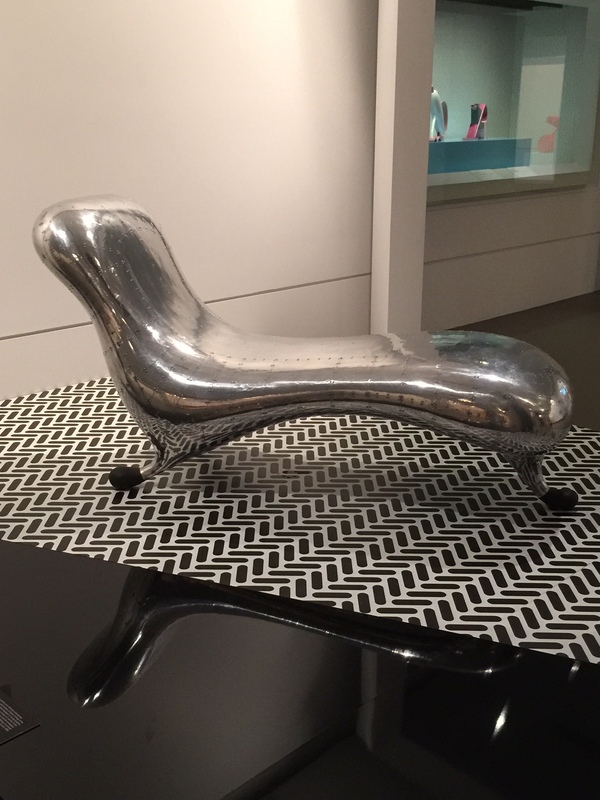 I can sit on something, not completing it and I know that I could be finishing it and I could be reducing the anxiety. I know I am doing it to myself but I cannot move forward. This is something I need to work on. There is plenty of room for improvement. I can look at the situation and I can see what I am doing to prolong the agony yet I do nothing to fix the problem. This part I don’t understand. Why would I do this to myself? Self sabotage. There is no other word for it. I think I am organised but after writing this part of punctuality in regards to meeting deadlines I’m not so sure. I may be organised but I don’t have much sense of priorities. I have done the colour coding of tasks but I find that I like making the lists, and the colour attaching side but the actual doing of the tasks is less fun. I have written out tasks to do on a certain day of the week, and I have alarms and reminders but I begin to get bogged down with the noise and reminders that when I don’t complete a task regardless of the priority I feel disappointed with myself. I have switched off these reminders and I have taken the tasks into the indefinite “rest area”. The way I have been doing it hasn’t worked. Or put it this way, I can do it for a week but then it all starts to fall apart. My methods so far are wrong for me. When I further look at priorities it is perhaps the sequencing that I have trouble with. It was suggested to me that I need to improve my algorithms. Algorithms are the step by step procedure to completing a task. An algorithm written as a flowchart give a visual image of the task and makes it easier to see how a task can be completed. 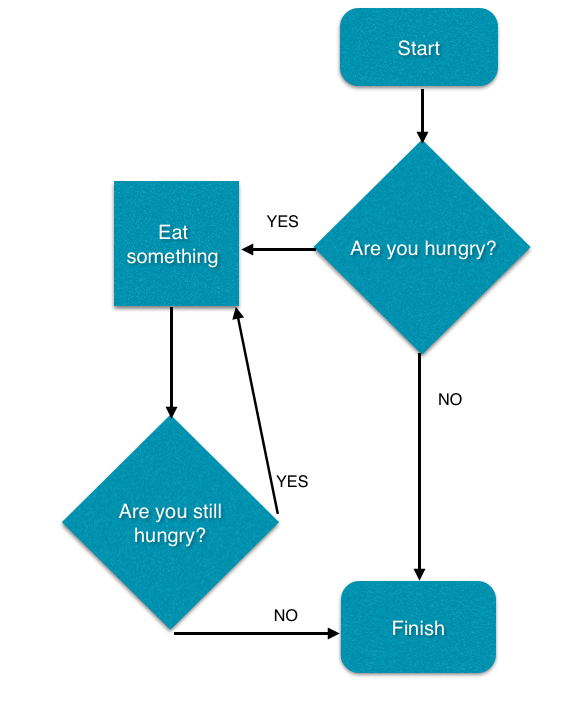 I don’t plan on making a New Year’s Resolution to improve my algorithms or flowcharts. They put unnecessary pressure on people. I have a will to improve, it just won’t be happening on January 1st that’s all. Analysing this closer, as this is what Asperger tendencies encourage, I can see that the flow charts, being a visual aid, is good for me, the visual thinker. I just need to remember to place the flow chart where I can see it, rather than filing it away, where it will never be seen again. It was pointed out to me that deadlines come in two shades, the short term or immediate deadlines or the long term deadlines. I am writing here about the long term deadlines. The short term ones I can deal with just fine. That being said, maybe I should try to treat the long term deadlines like short term ones and move the date closer and get it done. What do you use to help you organise, help with sequences and priorities in your life? After being supported through school, people with autism instantly adapt to adult life. All people with autism are good at maths, art and music. ALL of the above statements are FALSE. These are some of the myths that are being assumed to be true about those with autism. This lack of understanding can make it difficult for people on the autism spectrum to have their condition recognised and to access the support they need. Misconceptions can lead to some people who have autism feeling isolated and alone. In extreme cases, it can also lead to abuse and bullying. Read the statements below and they give you TRUE facts about Autism. Sourced from The National Autistic Society UK. Left meeting with Minister disillusioned– will James be left indefinitely strapped to a bed in hospital? 9 Dec 2014 — Hi everyone. Late yesterday I met with the new Victorian Disabilities Minister Martin Foley, and handed over all 60,000 of your signatures to help our son James. I left disillusioned. There remains no commitment to funding James’ care, leaving no guarantee he won’t be left indefinitely strapped to a bed in hospital. We’re hoping to hear more from the Minister and DHS today. Reduced carers and support has left James more and more traumatised. That’s why he’s in this situation. Our son needs a proper treatment plan so we can bring him home. James had a restless night exhausted and sleeping. Has a head twitch now may be due to chemical restraints. Difficult waiting as this is our 17th day. I enjoy travelling. No. I love travelling. But I don’t enjoy the week(s) following the return home. Is it the return to reality? The return to ordinary life? I cannot seem to get myself together for a week or so. The house order becomes chaotic. The bag is left unopened. The washing suffers. The personal hygiene suffers. I can’t sleep. I’m tired. Weepy. I don’t want to do anything. I feel low. I basically don’t feel like being home. And recently my ankles and calves have started to swell with air travel. That hasn’t helped the mood. Oh this is the Post trip blues. The house hasn’t cleaned itself. The DIY project that was unfinished before we left is still in its unfinished state. The lawns haven’t been mowed. And the garden hasn’t been watered. Unless you count the rain. I know! Why is it that the hardest thing about a trip is the return home. Even writing this makes me feel pathetic, stupid and ungrateful. I am moaning about taking a trip. Come on! Some people don’t get to take time off. Some people have two or three jobs and would love the chance to go somewhere, anywhere or just spend time with their family at home. I know how bad this sounds. But I can’t help the way I feel. If you want to tell me to stop being pathetic, don’t bother. It won’t help. It will be on deaf ears. I think it has to do with my routine being messed up. I like to walk in the door and think I’m home. I like to spend time at home. I like to cook at home. I like to spend time in the garden. I think I need to have a routine for the trip return. More rules and routine but it may help the transition. Don’t you have a checklist before you leave the house on a trip? It may be so familiar that you no longer need the note, but its in your head just the same. Well I think I need a checklist for the return. More lists. I’m making myself feel crazy just thinking this. Something has to change. A child becomes an adult when they reach the age of typical maturity yet they will always remain a child in the eyes of the parent regardless of their age. A parent only hopes for the best for their child. When a parent of an autistic child needs a rest from round the clock care, where does one turn? At what point to they admit that they need help? Does one have to reach desperation before asking? Or does one troop on stoically without complaint? Is it embarrassing to admit that one needs a break from family? Is equating needing a break admitting failure? Why is that? Why do we need to pretend that all is well all the time? We are human after all! Who understands their child they way they do? Who will take the time to care, to find out the best way to approach and interact with their child? Anyone on the Autism Spectrum or anyone with a family member or friend on the Spectrum will know one person on the Spectrum. Each person will have different ways of interacting with the world, some will have special interests, some will be verbal, others not, some reject touch, some will crave it, and so on. Flexibility and understanding is paramount. What works well for one may not work for the next autistic person. What is the answer for respite care for those on the Autism Spectrum and their families? The comments section of the Daily Mail article is mixed from pro shackling to anti shackling….